James Goldey grew up in Wilmington, Delaware and attended the University of Delaware. He received his PhD in physics from MIT. He was recruited to Bell Labs, Inc., where he interacted with, among others, William B. Shockley. Goldey's work included involvement with the Nike-X missile, silicon transistors, integrated circuit development and hybrid circuits. William C. Hittinger graduated from Lehigh University in 1944 with a B.S. degree in Metallurgical Engineering. 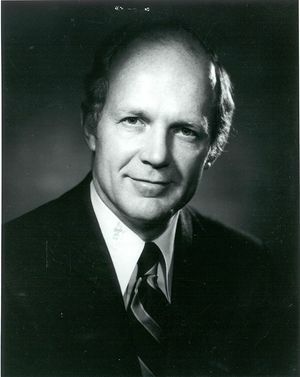 He was awarded the Doctor of Engineering degree by Lehigh in 1974. Following service in World War II, Mr. Hittinger joined Western Electric Company in 1946 as a Materials Engineer. After two years with the National Union Radio Corporation, where he served as Production Manager of its Semiconductor Division, he joined Bell Telephone Laboratories as a member of its technical staff. In 1959, he was named Director of its Semiconductor Device Laboratory and in 1962 became Executive Director of its Semiconductor Device and Electron Tube Division. Morris Tanenbaum received his Bachelors in chemistry from John Hopkins (1949) and his PhD in physical chemistry from Princeton. He began work at Bell Laboratories in 1952, in the Chemical Physics Department. He worked on the chemical composition of transistors. In 1954, at William Shockley’s prompting, he began work on silicon crystals as possible transistors. With the invaluable collaboration of the technician Ernie Buehler, he made the world’s first silicon transistor in January 1955. The same year he invented the first diffused base silicon transistor. During the first session of the interview, panel members discuss the events leading up to the development of the silicon diffused-base transistor. They touch on the disadvantages of germanium, the difficulty of purifying silicon, and the influence of other researchers. In the second session, they focus on devices, in particular the PNPN diode and its development by Shockley, as well as the hybrid integrated circuit and its ultimate displacement by CMOS technology. Interview #480 for the IEEE History Center, The Institute of Electrical and Electronics Engineers, Inc.
We’re at the Bell Labs archives at Alcatel-Lucent in Murray Hill, New Jersey. It's the 25th of September 2008, and we're here to do an interview with what I call the Bell Labs Silicon Pioneers. During the 1950s and into the 1960s, a group of men and some women at Bell Telephone Laboratories in Murray Hill, New Jersey, developed most of the silicon technology that went into the integrated circuit. If I had to come up with a number, I would say it was about 90 percent of the silicon technology that ended up in microchips in the 1960s. So they provided the fundamental basis for the modern information technology society that we live in today. I want to discuss the important work done during that time at Bell Labs and also at Western Electric Company, the AT&T manufacturing arm in nearby Allentown, Pennsylvania. I'm Michael Riordan, associated with the Computer History Museum in Mountain View, California and I'm also Adjunct Professor of Physics at the University of California Santa Cruz. I'll be the principal moderator of this interview. With me on my left is William Hittinger, whom I'll call Bill, James Goldey, whom I'll call Jim, and Morris Tanenbaum, or Morry. Also joining us is Sheldon Hochheiser, who is the Archivist and Institutional Historian at the IEEE History Center in nearby New Brunswick, New Jersey. To begin this discussion, I'd like to start out by asking each of you, the members of this panel, to tell me a little about your education, principally your PhD thesis, how you came to Bell Labs and how you began working on silicon technology. Why don't I start with Morry Tanenbaum, whom I know best? You want to start with the PhD? I did my undergraduate work at Johns Hopkins and my graduate work at Princeton. I worked with a particular professor, Walter Kauzmann, who was half physicist and half chemist, I would say. My thesis had very little to do with chemistry per se. Walter was very interested in the fact that if you took metals, purified them, and made single crystals, they were very much weaker, physically weaker than the polycrystal and metal itself, and nobody really understood why that was so. He had been a student of Henry Eyring, who developed the absolute-rate theory, which controlled the kinetics of chemical reactions, and he wanted to see if that couldn't be applied to this phenomenon of deforming single crystals. So I built an apparatus and determined the free energy and the entropy of the deformation process, and it became clear that it was a highly organized mechanism, a very high-entropic mechanism, that made the crystals soft, and those were later called by other people "dislocations." I'd never head of Bell Laboratories. I considered myself a chemist, but there was an activity at Princeton where in the Chemistry Department they would take the senior undergraduates and take them around to visit various industrial research laboratories. I happened to get talked into chaperoning one of those groups, which came to Bell Labs. That was my first introduction to Bell Labs. I was overwhelmed by what I saw there and came back and talked to Walter Kauzmann. He said, "Well, if you don't want to go on to a postdoc that's probably the best place you could go." So I applied to Bell Laboratories and they accepted me, gave me an attractive offer, and that's how I got to Bell Labs. That would have been 1952. Was your initial work on silicon technology? That was actually about a year and a half or two years later. The first thing I did at Bell Labs — My manager was Joe Burton, and he was also a physical chemist, and actually the department I joined was called Chemical Physics. He was interested in seeing if there weren't other more attractive semiconductors than germanium. That sounded interesting to me. I learned how to grow metal single crystals, and so I started a collection of pure elements to try to see if there were some binary-ternary compounds that would also be interesting semiconductors. It was just at that time that we got word that Professor [Heinrich] Welker at Siemens Lab had discovered that indium antimonide — that's a combination of indium from the third column of the Periodic Table and antimony from the fifth — had the same crystal structure as germanium and had showed very high electron mobility. Well, it turned out that I had all the ingredients to make that and a number of the other materials, III-V compounds [they are called], and so I made them and grew single crystals and measured their properties, and got my first publications in my first year, which was very, very nice. It was shortly thereafter that Bill Shockley decided that he wanted to follow up on silicon, and I was offered the job to go over and lead that effort under Shockley. We'll come back to that later and in more detail. Jim, why don't you tell us a little bit about your educational background and then how you came to Bell Labs? I went to graduate school in the physics department at MIT, and after going through preliminary courses, it was time to select a thesis. I had been exposed to Wayne B. Nottingham's course in physical electronics, where I discovered holes and electrons, and that sounded like a lot of fun. MIT was not a leader in semiconductor technology at that time, but they were trying to get some things going, and they were very active in gas-discharge physics and several of the professors — Bill Allis, Sandy Brown — thought that the plasma of free electrons and holes in the semiconductor had some common characteristics with the gas plasma. So I went to work as the lone solid-state guy in Sandy Brown's laboratory. My mission, what turned into my thesis, was to measure the effective mass of electrons and holes in germanium used in microwave techniques. I did that. There was only one problem with it. There was a report issued while I was in the middle of my thesis, by Bill Shockley and Ted Benedict at Murray Hill, and my answer was different. But we went ahead with it anyway and I'm glad to say that in the long run I was vindicated. How did you get to Bell Labs? I was a product of the standard recruiting technique where Bell Labs would send out some of its research and development people to the university, and the MIT team — at least that part at MIT at that time was Julius Molnar, John Galt and John Hornbeck — would drop by every six months to see what I was doing. John even supplied me with — John Hornbeck — samples of germanium, and when it came time to look for a job they invited me to Murray Hill. What group did you go into when you first came to Bell Labs? I went into John Moll's group, reported the same day as Nick Holonyak did. Then we'll get back to that work later on. And Bill, what about you? After getting my degree in metallurgy from Lehigh, a bachelor's degree, I joined the military and served for almost four years in World War II. Then I went looking for a job and was recruited to work for Western Electric, which at that time made vacuum tubes in New York City, a so-called tube shop. I was hired on as plant metallurgist, which took me into a lot of interesting work on metals like molybdenum, tungsten and the like that were used in vacuum tubes in those days. Somewhat later on I was transferred to Allentown and worked there for about six years, again starting as a plant metallurgist. Then with the advent of silicon point-contact diodes that were used in World War II in radar systems, I took on that job and got to know the group at Murray Hill, Bill Pfann and Jack Scaff. I was in charge of growing single crystals, but it turned out they were not single crystals but polycrystal line silicon ingots. I discovered that there were a few large single crystals involved, and that got me in touch with the group at Murray Hill that was then beginning early work on silicon. After six years or so, I left Western Electric and joined National Union Radio in Hatboro, where I was production manager for semiconductors in a newly formed division. We didn't fare too well, and at the same time I got to know Jack Morton personally, and he invited me to interview for a job at Murray Hill. I subsequently accepted that job and then worked at Murray Hill for quite a period of time in Device Development. So when did you come to Murray Hill? So you must have been working on silicon in the context of crystal rectifiers in the late 1940s? Yes, and then later at Murray Hill. At Murray Hill I was subsequently put in charge of a small group of developers working on Morry Tanenbaum's diffused-base silicon transistor. We had a specific job to develop that for manufacture and as such got to know a lot of people in military systems who were very fascinated with Morry's device. We'll come back to that later in the interview, but it strikes me that you probably were the first one among this group to lay your hands on silicon. Because you were working not with transistors, where silicon was difficult to work with, but with crystal rectifiers, for which it was the common element used during World War II. The second area that I'd like to talk about is this. It seems so obvious today that silicon is the element of choice, but what was the general opinion about silicon versus germanium, which was the dominant element in the early 1950s? Can you put yourself back in those days and recall how people thought about silicon versus germanium? What were the limitations of each of those elements, and their advantages? Does anybody want to pick up on that? I'll pick up on that. Germanium had some problems. First of all, its energy gap wasn't as large as one would have liked it to be, and so it couldn't operate very much above room temperature without cooling. The other problem was that it was highly surface sensitive. There was something called the "friendly effect," that if you had a germanium transistor in an ordinary room, and waved your hand at it, and watched on the oscilloscope, the curves would wave back to you. So germanium transistors had to be carefully encapsulated, either in metal or ceramic or something, to control the atmosphere. Silicon was thought to be of interest because of its higher energy gap primarily, but it's very chemically reactive. It was difficult to purify. A lot of diodes were made from silicon. There were some attempts to make grown-junction [silicon] transistors, I think by Gerald Pearson, but he could never get a useful transistor using the usual double-doping kind of techniques. After a period of time, and I'm only surmising here, the net result was that Bill Shockley said, "Let's really settle this silicon thing once and for all. Let's establish a group dedicated to seeing if we can make a silicon transistor." I was invited to join that group along with Ernie Buehler, who was a super technician and crystal grower. I guess Bruce Hannay supervised us, although I reported directly to Morgan Sparks, who reported to Bill Shockley in that group. We struggled with trying to grow junction transistors and discovered that it was just not possible to control the doping in such a way. We knew that we were going to have to grow NPNs or PNPs with very thin base layer. By double doping, we could get down to about a thousandth of an inch width in the base layer, but that still didn't give us enough; the injected carriers would disappear, would die before they reached the collector, and so it was clear that we had to get narrower junctions, and Ernie Buehler proposed that he try "rate growing." It turns out that depending upon how fast you pull a crystal from the melt containing impurities, the amount of impurity that gets incorporated in the grown crystal varies with the rate at which you grow the crystal. Since you can make fairly rapid changes in the temperature [of the melt] and affect the growth rate, Ernie said maybe we can get thinner junctions, thinner base layers by rate growing. So he prepared some crystals of that sort and we made our first silicon transistor. I think it was the world's first silicon transistor from a rate-grown crystal. That was January of 1954, if I recall, right? It was early, I think January, that's right. What I was getting at, weren't there naysayers, weren't there people saying, "Listen. Germanium has a much higher drift velocity [for electrons and holes], it's much easier to work with, you're never going to be able to purify silicon as well as we can do germanium"? There must have been people that said, "We have to do [semiconductor] electronics in germanium." What was the general sense of the Labs as a whole at the time? Well, I can't tell you about the Labs as a whole. I was over in the research department, and I was given the job to see if it was possible make a silicon transistor, period. No doubt about it, over in the development area, much of that work was on germanium, although Jack Morton was interested in silicon too. Yeah, John Moll's group was set up, if I recall correctly, as the first silicon device-development group. You may want to challenge that, Bill, but I think we were. There was still a lot of germanium work going on, particularly Jim Early's work. Yes, but all the things that Morry said were things that were well known by the time I got there. The mobility, as you say, was higher in germanium; important, but as time went on, it wasn't quite true, right? In 1954 the processing technology for silicon turned out to be much easier too, and that's primarily because of the work of [Carl] Frosch and [Lincoln] Derick, and what came afterwards, the ability to do oxide masking [in silicon]. Weren't there people within the Labs that just said, "We're never going to be able to work with silicon"? Or was the idea around that we have to push on to silicon because it's obviously the element that we want to make our circuits out of? I think more the latter. Certainly when I joined the Murray Hill group, my first assignment was on intrinsic-barrier germanium transistors, Jim Early's invention. But silicon was then catching on, primarily stirred up by the successes in research — Morry and his people. But it wasn't long before our customers, the military people at Whippany, decided they wanted to take advantage of the higher-temperature operation of silicon transistors in military systems. So as I recall, there was a large body of support for developing silicon, even though it was difficult to work with in those days. Yeah, there was a healthy competition, and it went on for quite a while. Who were really the driving forces behind this push into silicon? Shockley's been mentioned. You mentioned John Moll. Were there others? Talk about their influence. Were there others that were really pushing hard for silicon? Probably the prime mover on the development side. From the early days? From 1953-1954? Well, I got there in late 1954. And George Dacey, he might have still been in research. I forget when he came over, but he was also a very heavy pusher on silicon. I think that once it was demonstrated that you could make high-performance transistors fairly easily by the diffusion technique, Jack Morton, as you say in your book Crystal Fire, who was on a business trip in Europe, just dropped everything and came back and really beefed up the silicon work. That was March of 1955, if I recall, when this trip happened. What really set the stage for the silicon advance? The period of great advance to me is between 1954 and 1956. I would like to discuss, before we get into the details of each of your individual work, what set the stage for these advances? I'm thinking primarily of obtaining high-purity silicon. If somebody could address the Siemens process and DuPont, that would be very helpful. Well, we got our silicon predominantly from DuPont. They were continually improving the quality, but again I'll go back to Ernie Buehler. He would get a batch of small particles of silicon, with dendrites and small crystals, spread them out on a piece of white paper. He'd pick out the big ones, the ones that looked like they had [been] grown carefully, and he demonstrated the fact that those were the purer ones. It's kind of a purification process. Yes, that's right. We worked fairly closely with the DuPont people in terms of evaluating the batches and telling them which ones were better and which ones were poorer. So I'm sure that that had played an important role — both Ernie's meticulous examination of the product when it came in and DuPont's response, essentially, in making better silicon. That was certainly important, but again, the really big problem was how do you get impurities, the impurities that you want in the right place in the silicon crystal lattice? Let's say 1954, January of 1954, you made the first silicon transistor. What was the level of purity? Can you recall in, say, parts per million of impurities remaining in the silicon that you're working with? No, I can't tell you that. The real problem was that you couldn't tell just by measuring the resistivity either, because if we had equal amounts of essentially donor and [acceptor] impurities there, you would get very high resistivity that looked like pure silicon, but it wasn't pure silicon. One of the measures was how easy it was to grow a single crystal, because if it was highly impure, you had difficulty getting single crystals, but we never measured them in parts per million or parts per billion. The analytical technology just wasn't available for that. We tried measuring the [minority carrier] lifetime, because we knew that that would determine exactly how narrow you had to make the base, but the best oscilloscopes that we had, the best equipment wouldn't go much below a microsecond then. You mean the minority carrier lifetime? The minority carrier lifetime, right. So that was a great frustration because you couldn't tell whether you were getting closer and closer or not. Fortunately, the diffusion process made it easy to grow base layers of much less than a thousandth of an inch, and immediately we saw good transistor action. I guess — still staying with the impurity question or the purity of silicon — that at the time, 1954, you had zone-refining in germanium, because germanium didn't interact with the vessel in which you were doing the refining, whereas silicon would interact with the walls of almost any vessel. This is before float-zone refining. So you could get parts-per-billion impurity levels in germanium, but probably a thousand or more times less or ten thousand or more times worse in silicon. Yes, and Ernie Buehler, through a laborious process, did purify silicon. He would grow a single crystal, not pull all the melt. He knew the melt contained most of the impurities, throw that away, re-melt that crystal, pull it again and so it was a kind of zone refining, but a very laborious one. I'm vague on this, but I've heard of the Siemens process for purifying silicon. Wasn't that coming out in the early 1950s and being used at DuPont? Wasn't that helping to get better silicon than you'd had the previous two or three years? I'm just not familiar with that. Let's go on. What I'd like to do is talk to each of you about your own important work with silicon, or what you regard as your important work. You've already talked about the first silicon transistor that you made with the help of Ernie Buehler, Morry, but what about the first diffused-base transistor? And maybe say a little bit about the diffusion process in the same context. The rate-grown junction transistor never appealed to me very much as something that was going to really bring silicon into the world, because it was so difficult to control the base thickness. Then there was the problem with oxygen. I don't know if you want me to go into that or not. On the first silicon transistor, when I got a thin base layer, then I had to make electrical contact to it. I did that by melting and alloying aluminum wire, and the base layer disappeared. I didn't know what was going on, and then I found out that it was known by some people that if you took just a piece of silicon and heated it up to a particular temperature — I've forgotten, 500-600 degrees centigrade — and then quenched it, that N-type silicon would become P-type silicon. Nobody knew why this happened, but if you annealed it at a lower temperature for several hours, then whatever was going on would disappear, and your P-type silicon would come back. Am I correct? At any rate, I just applied that to my rate-grown transistor and got a good transistor. However, the whole process, this fact that you didn't know what was going on when you lost the base layer, and you had to anneal it, and you didn't know what was going on when you annealed it — plus the difficulty of growing the crystals — suggested you were going to have a pretty expensive device. At the same time, there had been studies going on over in the Chemical Physics department, where I had come from, of the diffusion rate of impurities in solid germanium, crystalline germanium, and in crystalline silicon. The work in silicon was done by Calvin Fuller. He was fundamentally just measuring the diffusion coefficients, but he found out that P-type impurities would diffuse more rapidly than N-type impurities. So if he tried to diffuse them both at the same time, he would get a segregation of a deep layer that was P-type and a thinner layer that was N-type. If he started with an N-type piece of silicon and did the same diffusion, he would get an NPN sandwich, which looked like a transistor. Because diffusion coefficients are temperature sensitive, but not nearly as sensitive as the rate-growing process, it was much easier to control the depth of penetration of the impurities when you did diffusion. He could make NPN structures where the base layer was a small fraction, a ten-thousandth of an inch instead of a one-thousandth of an inch. That was a lot easier to do, a lot easier to control. The real problem was that now you had a piece of silicon that had the right structure, but how do you make electrical contact particularly to that thin base layer? I worked on a variety of ways to try to do that for over a period of a year, until finally I just got frustrated one evening. My wife was having a bridge game, and she figured it would be a good idea if I went back and worked in the lab that evening, which I did. I said, "Well, the heck with it. I'm just going to try to alloy my aluminum wire right through that highly doped N region. I think it's going to cause a short circuit. I think we're going to have two degenerate growths there, but I'll just try it and see what happens." I tried it, and I found that I got good electrical contact to the base layer, but also still had a good viable P-N junction between that aluminum alloy, the silicon aluminum alloy, and the N-type layer. It was an excellent transistor with a very high gain and a high frequency response over a hundred megahertz. That was the beginning. Is this the first silicon transistor to breach the 100 megahertz level? Oh yes, without a question, without question. What year was this, what month and what year? I think it was very early 1955 or late 1954. I don't remember that, but I can get you that exact date because of Sheldon's good interest here. If I haven't already, I can send you the laboratory notebook pages. The exact date will be in the laboratory notebook. That's right, and I think it occurred several months before, October 21st. Jim, your work in the John Moll group. As I recall, you were involved with the PNPN diode, but there was other work before that, too, on silicon. Yes. When I first reported in, my first assignment was to work on an alloy-silicon transistor. Harry Knowles was also doing an NPN [transistor] and I had the PNP, but then when Morry's breakthrough occurred, I can remember all of John's group and Andy Anderson — Our department head was summoned up to Jack Morton's office and he said, "It's diffusion, isn't it? Why don't we forget the alloy?" And we did it at least as a basic kind of structure. Several of us in John's group then went on to the PNPN diode. George Bemski was looking at the traps, because the PNPNs that work properly, as you probably know, require some sort of saturable trap that will lead to a variation of the current-gain alpha with current level. Nick Holonyak was working on some aluminum evaporation and working closely with Morry, and I was also working on aluminum evaporation, and we were doing all the other things we needed to try and put together a PNPN device. This is a four-layer silicon diode. Morry has just described alloying through the N layer to pick up the P base. As I understand it, one time he did that and he didn't alloy it deep enough, so he had a P-N-P-N [structure] and, by golly, it had the PNPN characteristic. Is that correct? Yes, and so that gave us a good go-ahead [signal]. The primary interest initially in the PNPN was as a cross-point switch in the space-division switch for ESS [Ed Note: the planned Electronic Switching System for the Bell Telephone System], which was in development at the time. That was the objective, which frankly we never reached because of very tight margin requirements and control. I can go into a lot of reasons of why we didn't attain it if you want to hear them. Yes, I think that in the second part of this interview, we're going to talk more about the PNPN diode in detail. Actually, before we move ahead to Bill, if you could spend a little time, Jim, talking about making alloy-junction transistors in silicon. As I understand it, you started with a single piece of uniform semiconductor material and tried to alloy from both sides. That's right. They were diced into wafers, and there were some little graphite jigs to hold it, and there was a little dimple in the jig, and you put a ball of, as Harry Knowles was doing, of gold-antimony, and then you put the wafer on, and then you have the gold-antimony on the other side. You put them together and put them into a furnace above the eutectic [temperature] for silicon and gold-antimony, which I think is around 377 degrees C, is that right? But that's the way Harry did it. What Nick Holonyak and I and others were attempting to do was to evaporate the emitter and collector contacts on [the silicon], rather than use this pellet approach. That led into a whole study of how to alloy aluminum. Nick discovered that, if you held the temperature of the substrate between the eutectic and the melting point, that you could get a fairly uniform layer, because the problem was that it alloyed irregularly. I then discovered that you could do it a somewhat simpler way by pre-cleaning with a heater strip and that when wafer was in the heater strip, heat it to about 800 degrees C in the evaporator, and then evaporate and you've got good junctions. Did you get any fairly successful silicon transistors out of this approach? I would hate to quote numbers, but my recollection is we probably had alphas of 0.5 to 0.6. Bill, as I understood what you said earlier, you took the result of Morry's work [on diffused-base transistors] and tried to develop it for manufacture. Was this the mesa transistor? The mesa first, and then we went to double-diffused structures shortly thereafter. We had a great struggle making successful transistors, primarily because of external impurities that kept getting into our system, and irregular wafers and the like. But through hard work and repetitive efforts, working with our model shop at Murray Hill, we succeeded in making some pretty decent transistors. Then we fed those into our military and ESS (Electronic Switching System) groups at Whippany who were very interested in silicon. Just plain hard work, I think, cleaning up structures, getting better silicon, better silicon crystals. Through experience we were able to generate a fairly decent yield of the high-gain transistors that caught the attention of our users. From there we transferred that activity to [the Western Electric plant at] Allentown, where they went into the design for manufacture, using these transistors primarily in electronic switching systems at that time. Now as I recall, the mesa structure was so named because of the similarity to the mesas of the American Southwest; it had either an NPN or a PNP structure, and then you would etch away at the sides, exposing the edges. The junctions were then exposed to whatever might be in that metal can. Did you encounter the problems that were later encountered at Fairchild of impurities becoming attracted to those very sensitive junctions? That was a problem, I'm sure, for any who worked in the business. Do you feel that you were able to overcome it? Very much so. We finally went to a double-diffused structure, which was finally put into production by Western Electric, which turned out to be quite successful and useful in these various systems applications I referred to. That mesa transistor went on to become manufactured at other places besides Western Electric, right? I think Texas Instruments at least tried. They were making mesa transistors before the planar approach came in around 1960. I think that it came first, definitely. I'd like to take this opportunity to have the three of you tell me about others who cannot be with us who've passed away, but also made important contributions to this pool of silicon technology at Bell Labs. To begin with, as I understand it, Gordon Teal had done his work growing single crystals of silicon originally at Bell Labs before he moved on to Texas Instruments in 1952. Does anybody recall working with him? Was he there when any of you were there, and did you have interactions with him? My recollection is that Gordon was there when I joined, but I think it was already clear that he was leaving for TI. I got to know him and to say hello as we passed each other, but I never worked directly with him. I was over in the III-V compound area at that time. Do you have any recollections of his personality? I hear he was a stubborn guy. He took one task — and this one was to make single crystals — and could stay at it when everybody else didn't think it was worthwhile working on it. That could very well be. He was not very communicative as far as I could tell. I think he was viewed as a loner who really did as you said and worked by himself. Finally, when he had a good result, that's when you would hear about it. Another person I've seen pictures of him and read articles by him, but I have no sense of him and his interactions in the laboratory, is Calvin Fuller, the real pioneer of the diffusion process. Could anybody tell me about Calvin as a person and as a scientist? Well, I got to know Cal Fuller quite well. He was always very open and very interested in seeing something that he did turn into something useful, and very, very cooperative. I'd try something, and it didn't work, and I'd want something different, so I would say, "Cal, can you do this?" And 24 hours later I would have it. So I found him just a great guy to work with. The technology of diffusion — and this was really what we were talking about, that led to the breakthroughs in silicon in the mid 1950s — if you had to point to one of them, diffusion in silicon had to be the great enabling technology. The fact that you could make micron or submicron-thick layers of the various impurities in silicon. The first application of that was the Bell Labs Solar Battery or solar cell, as I recall. It came out in 1954. That could convert solar energy into electricity at that time, I believe, and it was about 10 percent efficient, right? Not that high. I don't think it was that high. I think that they thought that the limit at that time was about six percent, and they were well below that, but they had [indeed captured] solar energy. It worked. Yes, and that was pretty good efficiency for solar converters. If I recall, it was made by taking a wafer of silicon, probably N type and then doing a boron diffusion so that you had a layer of P-type silicon. So you had a P-N diode, and then by shining — of course you put the leads on — sunlight on it, and you could do the conversion. How about Frosch and Derick, Carl Frosch? Did anybody have much interaction with him? Oh, I had a lot of interaction with him. Tell me about the technology too. I think we'd like to get that on the record. Carl was an experimentalist of the first class. He was not a deep, theoretical kind of guy, but just very, very imaginative and inventive when it came to doing things. He had done early work, I think, on silicon carbide thermistors. They were of interest, I think, to the military during the war. Then, I don't know when, he went over to silicon. I don't really know very much about that, but later on, after the silicon transistor was launched, I was offered an opportunity to form a new group looking for new semiconductor materials, and Carl Frosch came over and joined that group. He did some work on gallium arsenide, trying to grow single crystals of gallium arsenide, but he also continued his diffusion work and, I think, worked very closely with the development areas. Derick was his technician and cut from the same cloth, I would say. Lincoln Derick, or Link Derick, as he was known. But can you say something about the actual technology [of oxide masking] for the record? Are you aware of the events that led up to his serendipitous discovery of the silicon dioxide layer? Well, I know we were at one point thinking of silicon dioxide as a protective layer for the P-N junctions, and we were doing dry oxidation — we, Carl mainly — and wet oxidations with water vapor. At one time, I remember Nick and Carl coming down and saying, "We had some oxide on here and the diffusion wouldn't go through it." Oxide masking, in other words. It was serendipitous, yes, and then began a whole series of experiments. Gallium, for example, was not masked by the oxide layer. Boron was and phosphorus, too. Carl worked very closely with us in the development area. He was preparing the silicon samples on which you would be doing your experiments, right? He certainly did that, yes. Yes, and as I recall, he was having a lot of problems with getting pitted surfaces. Yes, that was true, and that's why he was looking at all these different oxidation processes. Certainly the wet oxide, if I remember it correctly, tended to be pit free. Yes, that's right. He could generate a more uniform layer with the addition of water vapor into the diffusion stream. Yes, but as Nick Holonyak told me the story, what actually happened was that some of the hydrogen he was using to create a reducing atmosphere in his diffusion furnace flashed, or flamed, creating water vapor. I never heard that version. He came out of that experiment, instead of having pitted wafers, having these wafers with a nice, shiny, green, iridescent surface on them. That proved to be the instant at which the silicon-dioxide layer became well known, or at least within Bell Labs. It was a completely serendipitous process. He wasn't trying to make a silicon-dioxide layer in that first instance. But as Morry said, he would look at everything with great tenacity, and anything that showed up that looked like it was worth following, he would do so. I also hear he was a chain smoker, would often be smoking in the lab while he was doing his work, as was Walter Brattain. How about the people who are widely regarded as the ones who initiated photolithography, Jules Andrus of Andrus and Bond. Does anybody have recollections of them? I knew of Jules Andrus, but I never worked directly with him. I think that was after I had left the silicon scene. Jules was the guy who probably proposed it initially — using photoresist, which would withstand the etching acids — and that's how we began to get these structured surfaces. Jules worked very closely with us and with Kodak, as I recall. Walter Bond was more associated with the thermocompression bonding, at least as I recall. There was a paper by Andrus and Bond, but Bond was the T-C bonding guy and Jules was the — Before Jules came along, we were using black wax to mask, to withstand the etchants. You had to define certain patterns, very intricate patterns, increasingly intricate patterns as you moved on to integrated circuits. You would put down this photoresist on the surface and then flash light through masks, right? The exposed areas could be etched away, and the unexposed areas would remain, and then you would then do your impurity diffusions through the exposed holes in the silicon-dioxide surface. Yes, Morry spoke about the difficulties of contacting that thin base layer. So we had a limited-area emitter, and the base layer and the emitter layer both came to the surface, and it was much easier to bond wires. Another major advance that I see in the record is Henry Theurer’s float-zone refining method. Can anybody address that — the fact that you could get high-purity silicon, equivalent to the purity of germanium? Yes, because of silicon's chemical reactivity, you couldn't zone refine it in a boat. If you tried that with a quartz boat, a silicon-dioxide boat, the silicon would just stick to it and crack up in pieces when it cooled down. The impurities would also diffuse in from the boat, right? It could, yes, but I think the physical problems were really the difficult ones. The oxygen problem, of course, if you pulled single crystals. Again, silica was the material of choice because it was hard to find anything else. Alumina is a better ceramic, but the last thing in the world you want is to melt silicon in an aluminum boat because it gets full of aluminum. It also got pretty full of oxygen in a silicon-dioxide crucible, but it wasn't realized that that was a problem at the time. Henry's invention of the floating zone depended on the fact that there was no container whatsoever, and the molten silicon was held between the unmelted silicon [at either end] just by surface tension. And by moving a [heating] coil he could move that [molten zone] through [the silicon rod] and refine it. Push the impurities to one end or the other. Was this a silicon crystal that he had clasped at the ends? Yes, or he could start with polycrystalline silicon and grow the silicon crystal at the same time. The other unappreciated-at-first advantage was the fact that there was no oxygen around either, and so you didn't get this effect of converting to N-type and P-type if you heated it and annealed it, and that was helpful. However, those things seem to have been overcome. I don't know how these big ingots of silicon are prepared now, but they are not done by float-zone refining. I don't think so, but I don't know either, Morry. So the oxygen problem somehow has disappeared. I think I can tell you how that got started. I was over in the Metallurgical Research department at the time, and DuPont — we were still working with DuPont, I wasn't working with silicon at all at that time — came in and showed us this long silicon single crystal and said they had grown it by vapor-phase deposition of silicon on a thin rod. It was a beautiful crystal, and they asked, "Is this of any interest to you?" So I said, "I don't know, but let me get some guys who probably do know." I don't remember who I contacted over in the development department. Well, Ian went to a seminar that Henry gave. Well, I don't know if that may have been. What I remember is the following. He got a group of the development people together, and I think one of them was, gosh, the German Friedolf Smits. He was one of them, and we sat down in — I think it was — Jack Scaff's office, and they showed us this crystal. One of them, I think it was Friedolf, said, "Well, we don't need that for crystal growing, but it's a wonderful way to grow an intrinsic layer of silicon, and then we can make PNIPs [Ed Note: the Jim Early intrinsic-barrier layer transistor] or whatever we want." So they went back with that, and to my knowledge, that was really how the epitaxial silicon started. So you could essentially grow silicon atomic layer by atomic layer. The control of the thickness was even greater than you had in the case of diffusion. Yes, except not with the process they were using, because they didn't have that kind of control. Not then, that's right. Even in the beginning I think you were looking for mil-thick layers of intrinsic silicon, not molecular-thick layers. I have a slightly different version of the story, and I don't want to argue because I wasn't there, but at least the story that I am familiar with was that Ian went to a seminar, and it might have been this meeting which Henry talks about. I guess Henry had, by that time, deposited some silicon on this rod himself, not just [getting it from] DuPont, and that Ian asked the question — I was unaware of Friedolf's role in it — Ian asked the question, "Can you do it on a wafer?" and Henry answered, "I don't know, but I'll try." He succeeded, and that was the story of epitaxy as I've always understood it. If I can add a question to Bill. You've spoken a good bit about how, in development, you took Morry's work and prepared it for production. Could you speak a little bit on the other side of that — i.e., working with the folks at Western Electric in the actual manufacturing, to make the transition out of the lab into a product? There were some very able people working on transistors in the Allentown group, primarily on alloy transistors in those days. But they were very receptive — primarily through their boss Andy Anderson, or Gene Anderson, who worked at Bell Labs prior to that — to start picking up that technology. So we found a very receptive group of maybe a half a dozen well-trained semiconductor engineers who were willing to take on the job. It was just a matter of plain hard work, to get the area cleaned up to the point where we weren't bothered by extraneous impurities but were able to work with high purity silicon, and before long Western Electric started to manufacture such a product. Intuitively, for both the military systems people — the Nike system was developed in those days — were very interested in semiconductors, silicon semiconductors, and so were the electronic-switching people. So it was a rather easy transition, and able people on the Western Electric side of the house were able to pick the technology up quite easily. Actually, that reminds me. There was a very innovative management approach that was being implemented at that time, as I recall. That you worked as a Bell Labs person, but you were also part of a cell that had been planted at a separate company, Western Electric, to take all of the fast-moving advances and get them into production as quickly as possible. Could you address that, and say a little bit more about that whole approach? Well, it's hard to be specific. It's simply a matter of timing. Clearly, silicon transistors proved their worth in future military systems — the thing we've talked out before. The advent of a fairly well-trained group of engineers and production people at Allentown who had been working on alloy devices for some period of time [made] the transition [process] therefore quite a simple one. Really, it was a matter of knowing the right people to work with, and Western Electric had, as I say, an able group of younger people. So the transition went rather smoothly. The very interesting thing about the technology structure in the old AT&T [was that] it was highly vertically integrated — from the most basic finding in science that could be of use to development, design development, to development design for manufacture, to the systems people who built switching systems and other things, to the customer, and it was all in one company. So there were no trade secrets between any part of this. Those barriers just didn't exist. There was also movement of people from one of these areas to another, so that there were those personal contacts. So it really enabled you [to proceed?] from the point of view of finding out what was really needed, what the customer wanted, to looking at the most recent advances in science and [determine?] the pathway to move that through. Transmission, and Indianapolis, and various other places. Allentown was really the "high-tech" plant of Western Electric, right? It was likely that significant problems were going to crop up on the shop floor that would involve basic science and that development engineers might not be able to deal with. You had to go back to Murray Hill and say, "Can we get your expertise to become focused on this?" I think that was what the branch-laboratory approach was: to try to implement that communication between what is essentially a manufacturing arm and a research arm. They did a lot on their own as well. I'm partial, having spent the latter part of my career in a branch lab, I guess. In fact, when did you, Jim, make your transition from Murray Hill to Allentown? Could you talk about it in that context? That's a very interesting story. I almost told Bill about it this morning. I had an opportunity but didn't go. I had been a department head at Bell Labs for some time, and had an opportunity to go out to UC Berkeley with Don Pederson, who was then head of the EE department. He wanted me there on a sabbatical just to "pick my brains," as he said. So I said, "Okay, send me a proposal," and he did. I gave it to my boss, who was probably Bill Boyle. He gave it to his boss who was Bill [Hittinger], and it eventually got up to Julius Molnar who was the Executive VP who had to approve it. One day I got a call from Bill, and he said, "Jim, can you come up for a few minutes?" I said, "Sure." He said, "I want you to know that Julius has just signed off on your sabbatical to Berkeley, but they want it to last three months instead of for six." He then said, "On the other hand, I have another offer for you, and that's to go to Allentown." So I said, "Geez, Allentown, Berkeley." Then Bill said, "Do what you want, but I think it's in the interest of your career to go to Allentown." Do you remember that? Oh yes, very well, Jim, and you did [come to Allentown]. I did. That was 1966, I think. Yes, but still as part of that branch laboratory. You were still a Bell Labs person. Let's begin again. This is the second part of the Bell Labs Silicon Pioneers interview. It's the 25th of September 2008, at the Bell Labs archives. In this second part, I want to focus more on the incorporation of silicon technology into specific devices and integrated circuits. In the first half, we focused on the development of the individual technologies — diffusion, silicon-dioxide masking, and things like that. In the second part, I really want to put the focus on actual device development. To begin with, I'd like to go back to the spring of 1955. This is after Morry had made his first diffused-base transistor, and it may have been after a breakthrough in silicon refining, although I'm not sure it's float-zone refining. But there was almost a conversion that occurred at Bell Labs, that the silicon technology was now here. I think you alluded to it earlier, Morry, about Jack Morton returning from a trip to Europe and declaring that silicon is the wave of the future. Can you add anything to that description? Not really. Jack came to my laboratory right on. I guess it was only a day or two after I'd had the rest of management down looking at the transistor. He seemed to be very impressed and excited, and figured silicon is now the way to go. Now Jack — for the listener — was the head of device development at the time, I believe, or maybe it was transistor development in 1955. Up to that point, he had been keeping his options open; he had some projects in germanium, he had some projects in silicon, if I'm not mistaken. But at that point in March of 1955, he declared that all future development activities would take place in silicon, principally at the Allentown plant. There was some continuing work, I thought, by Jim Early on PNIP transistors, for submarine cable. Was there some of that work going on for submarine cable? Was Jim Early on the development side, or in research? He was a very important player. He was my first boss at Murray Hill. He was then working on the intrinsic barrier, PNIP transistor, and there were some applications for it early on. It was also about that same time, certainly by June of 1955, when Bill Shockley decided he was going to leave Bell Labs and go set up his own company. As I've been told by a number of people, his initial picture of that laboratory, which he set up in Mountain View, California — not far, I would add, from the Computer History Museum — his initial goal was to recruit people from Bell Labs. I know he recruited, or tried to recruit, at least one person here, and I hope you could recall those attempts. Yes. Yes. Well, I guess you're referring to me. I did get a call from Bill offering me a job at, I guess, about twice the salary I was then making. I agonized over it for a full week. I went and talked to my boss, and my bosses' boss, and what have you. I finally concluded that I was just having too much fun where I was and in what I was doing, and I knew the people, and I liked them. So I probably blew my opportunity to become a very wealthy man, but I don't regret it. Did you have any reluctance regarding the Shockley management style? I had never had any problems with Bill. I was sort of Bill's chemist, if you will, his crystal grower. Bill was a very, very demanding person with regard to the physicists that worked with him. But I just never had any difficulty at all. So I knew what his reputation was, but my own experience just wasn't consistent with that. In a way, in fact, if you look at Bill Shockley's career, he always had to have a chemist, and preferably a physical chemist. I forget who was there when Bardeen and Brattain invented the point-contact transistor in his group, but then there was Morgan Sparks and then you. Then when you didn't come out to Shockley Labs, it was Gordon Moore. It had to be a chemist who understood the physics of what was going on in materials. That was really important to him. It was always a part of any [organizational] structure that he built. Did any of you others get recruiting attempts from Bill Shockley? I remember one event quite clearly. Maybe Jim was there as well. He and Fred Terman came east and rented a room at the Suburban Hotel. We had dinner together, and then Bill presented a view of his thoughts and the Shockley Laboratory activity, and offered maybe six or seven of us an opportunity to at least interview for a job at the laboratory. We had a very pleasant evening, but of that entire group — I think Morgan Sparks was there, as well — no one took a nibble at his offering. And to my knowledge, nobody went out there at that point in time. Let me stop right on that because you're hitting a special nerve. Fredrick Terman was then the Provost of Stanford University — and in the process of building one of the great universities, especially in technical areas. I looked through his archives, and there's a little yellow [paper or] "stickie" — it's obviously a [record of a] dinner [meeting], and seated around the table are William Shockley, F. Terman, and it says "Ian Ross, (British), Jim Early," and a couple of others. I was one of the couple of the others. I have always thought that that was something that had occurred out in California. Well, it may have, but the one I remember so well occurred at the Suburban Hotel in Summit, New Jersey. Bill actually came here specifically to recruit. Jim, you were about to say something? Yes, my offer — well opportunity, whatever you want to call it — came a little later, after they were established out there. We were out visiting on a licensee visit, myself and three or four others, and late in the afternoon Bill said, "Jim, those fellows are going to go to dinner with Adolph [Goetzberger] and Hans [Queisser] and so forth." He said, "I'd like you join me, you and my wife." So that was my interview, I guess, while we were at dinner, which I passed, but I also declined. That would have been after the Fairchild Eight had left, because you mentioned Adolph Goetzberger. Yes, that was after the Fairchild Eight left. He was part of the German contingent that came in after 1958, or after 1957. The other issue I'd like to deal with in the context of Shockley Semiconductor Labs is that he was basing what he was doing there almost entirely on the silicon technology that we discussed in part one of this interview. This technology had somehow to be transferred. There were certainly published papers like Frosch and Derick [September 1957], your paper [Morry] on diffused-base transistors, but in any technology there's a lot of tacit learning that has to occur, that you can only get by standing and talking with somebody in the laboratory, and going over all the minute details of what is making your process work. Did you see any evidence of that occurring between Shockley Labs and Bell Labs in the 1955 to 1957 context? I can contribute one incident to that. I don't recall whether I got a call from Bill Shockley himself, or whether he called Morgan Sparks, or what have you, and said, "There's a fellow named Gordon Moore of Shockley Laboratories, and he'd like to come out and talk to you." Gordon did come and we sat together in my lab, and Shockley Semiconductors was a patent licensee, so [it allowed] full disclosure for the most part. So I spent the better part of half a day, at least, with Gordon telling him what I knew about how we made our diffused-base transistors. So really the diffusion part, he's learning that. And the bonding part, and what have you. Initially Shockley Semiconductor Labs was set up to make mesa transistors. Did you see any interactions between either Western Electric or Bell Labs and Shockley Labs on that level, Bill? No. I was not aware of any such interaction. It's important to recognize that in those days, the industry was pretty informal, and there were things like the [annual IRE] Solid-State Device Conference with its unpublished papers. There were those who had Western Electric licenses. I guess somebody already referred to them. We would exchange licensee visits. If we thought we would get useful information from them, we were willing to tell them maybe a little more than was in the public literature. At that point in time, the Bell System was very restricted by an antitrust Consent Decree in terms of the businesses it could go into. We could make devices that we were going to use, and if anybody wanted to buy those same devices, they could, but the devices were designed and fitted for the telecommunications industry. So, again, there wasn't a question of competition with regard to our licensees. We would not go into their markets. We were not permitted to go into their markets. So from our point of view it was a pretty open exchange. Not only that, after the 1956 Consent Decree, to a certain extent, such exchange of information was required and to be freely licensed for uses outside of telecommunications. I'll take this opportunity to mention that I believe that Shockley Semiconductor Labs and its parent company, Beckman Instruments, may have been the last company to actually purchase a license, for $25,000 dollars, to the transistor patents in late 1955, before the Consent Decree of 1956. And that brought along with it a lot of additional hand-holding. My marvelous example of this is the Frosch and Derick paper that arrived at Shockley Labs in December 1956, sent there by the Western Electric patent engineer who was responsible for achieving this technology transfer; and then it was passed around Shockley Labs in the spring, probably January, February of 1957. It had a routing list, and so I know that Gordon Moore read that famous Frosch and Derick paper, and that Robert Noyce read it because his name is checked off — as are those of all the others who eventually went off to form Fairchild. So it's a marvelous example and proof of technology transfer [process] occurring across the country because of those licenses. It’s a famous device, which Shockley Semiconductor Lab moved on to making in the 1957 time frame, and I'd like to go back a little bit and understand the roots of that device, the theoretical roots. I've heard it attributed to Shockley, the idea for a four-layer diode, an avalanche diode that could go from an "off" to an "on" state, really derives from Shockley. I think that is correct, but I'm not sure I've actually read it in his work. Before we actually started development based on that idea, Ebers and Moll put together an equivalent circuit, with NPN and PNP transistors, and created basically the PNPN and its V-I characteristics. Yes, as Nick Holonyak explained to me, you could make a circuit that would perform this same function. I think it had two transistors and a couple of diodes and a resistor. But here you could do it all in one piece of silicon with four layers — a marvelous simplification of what was going on. Was this only possible in silicon? Could you have made something like this in germanium? It wouldn't have been very good, because of the high leakage current — I think Morry spoke about it earlier. But it would have had a reverse characteristic, and if you could get a current to bend in alpha once it broke over, and the current began to rise and the sum of the two alphas exceeded unity, it would flip right down to the lower state. So I would imagine that, coming from the Bell System, [you would have seen] this as a switch, and you would have said, "Ah ha!" The goal had been an electronic switching system ever since maybe the 1930s. Was that a big driver for the further work that went on in these units? The fact that, "Ah ha! This is potentially a very simple switch." There was the fact that internal competition, originally between that device, the PNPN, and a gas [discharge] tube that Dave Rose — whom you may have run into at MIT, later he left Bell Labs and went to MIT — they were looking for what they called an endmarked network, where they could put a voltage on say the caller and a voltage on the number they were trying to connect the call to, and it would find its own path through the network and not crash into some other path. You said you read this paper yesterday. Skimmed it, I should have said. September 1956 is the date of this paper. Can you summarize it? Presumably this is really the first attempt to actually make this Shockley [PNPN] idea within the Bell Labs context, and I think there were three approaches that you used. There were several different structures, yes. We didn't have very much trouble once these basic technologies that we talked about earlier had been created — getting devices with a V-I characteristic of the PNPN. But somebody — I guess it was Morry or Bill — mentioned earlier the control of those things, of certain device parameters. In particular, the breakdown voltage, and the turn-on or turn-off current, were very, very important. If we did not have good, tight control on those, the chance of breaking into another path, another conversation, was fairly high. That was absolutely verboten in the Bell System. You couldn't do that. We did such things as actually build or buy a Van de Graff generator to bombard the wafers with electrons so as to increase the turn-on current to a given value, and then the voltage seemed to be under a fair amount of control. But then there was the problem that there's a capacitive current, and on a fast pulse, that caused carriers to flow — the capacitive current — and the breakdown voltage would drop. We never really solved that in a production [device], but Ian Ross came up with a design that would have solved it, and which was within the realm of possibility, at least, of manufacturing. Another parameter is the on-drop once you get down to the low-voltage stNickate [?] There was a bright young fellow over in ESS that said, "Boy, if we only had a real solid-state relay," and he then invented one, which is known as the ferreed. Alec Feiner did this. What the ferreed did was that you could switch the ferrite at electronic speed, so your control system, the ESS, was fine. Even though the reed-relay would take a few — what would it be, microseconds or milliseconds? — to close. That didn't matter, because it didn't hold up the control circuitry. It had essentially zero resistance. It looked like it was pretty manufactureable, and that was the end of the PNPN as a competitor for the cross-point switch. What year was that? Do you have any idea? It was in 1957 maybe. So really it was only for about a year or two that you were pursuing this [PNPN diode]. Yes. We had dispatched the gas tube, and the reason was it had a very high sustain voltage. . In this first paper in 1956, three structures are shown. I don't know if you can see it on the camera, but what you have is essentially a two-layer or three-layer device, like Morry's diffused-base transistor, and then you do alloying from either one side or two sides to make the additional one or two regions. You need four [impurity-doped] regions in all for this thing. Were there any attempts within Bell Labs to make a four layer device entirely by diffusion without using alloying? You made that accidental first one that we talked about earlier. It's funny. I don't really remember that. Well, I heard it from George, George Dacey, and Nick and John [Moll]. I've got to go back and look in my notebooks. The real thrust at Shockley Semiconductor Labs became the PNPN diode, and he was trying to do it all in diffusion. Like Morry was doing with his transistor, you could diffuse the two layers in from one side, but that means you'd have to do another diffusion from the other side of the silicon wafer. What proved to be so difficult was controlling the parameters — particularly as you mentioned, Jim, this breakdown voltage, where you're turning the voltage up on one side starting in the off state and then keeping turning it up, and it breaks down, and you go to the on state. Controlling that breakdown voltage proved to be enormously difficult. Did you see any interactions between Shockley Labs and Bell Labs on this PNPN diode? Were people coming from there and talking to people at Bell Labs about it? Yes, probably a couple times a year. I visited there several times. We had their people in a lot. As you know, the Fairchild guys had left primarily because they didn't think the future was in PNPNs, but in NPNs, but Bill was still set on the PNPN. It's still a useful device in many other applications. GE, of course, called the thyristor a silicon-controlled rectifier and made a very good business out of that. Do you remember anybody that you interacted with at Shockley Labs? Oh, sure. Bill himself, Adolf [Goetzberger], Hans Queisser, Kurt Huebner, Rudy Beasley — he was the business guy. I knew Jim, and I first met him at a dinner party at John Moll's house, but he was a professor at Stanford as well. I ran into him at a lot of technical society meetings. I don't recall being there [i.e. at SSL] at the same time he was there, but that might have been. He did recall having interactions, particularly with Ian Ross, who when I talked to him on the phone didn't remember it. Ian told me he never was inside that facility, so I don't know, but certainly I knew Jim, and we would chat. The PNPN was to me the exemplar of a class of devices called "functional devices," in which you tried to perform the function of what would normally be done by a circuit in a single device. I'd like to talk a little bit more about this because I understand there were other functional devices. This was a category of devices that emerged to try to deal with the complexity of circuits in the late 1950s. Does anybody want to address the idea of functional devices? Well, it was something that was a gleam in Jack Morton's eye. He thought we ought to be able to somehow or other get to the properties of the silicon and be able to do these things. He used to quote the piezo-electric crystal as a good example in another technology where you can't find the L’s and the C’s [inductances and capacitances], but you've got the function. The only thing that I'm aware of was the stepping transistor of Ross, Loar, and D'Asaro. That was, again, basically PNPN structures where they moved the carrier sideways from one PNPN to another, [gestures with his hands] and that's why they called it the "stepper." That never became a production device. It was reported on at various technical meetings, but I don't recall any really successful functional devices other than the PNPN and its other special applications. You mentioned Jack Morton. Was the term "functional device" coined by him? Do you have any idea whether that was his phrase? I probably first heard it from him, but I have no idea. I'd have to agree, Jim. I heard it from him first. I heard it from Jack Morton first. What I've also heard is that this was a response to another phenomenon that he liked to talk about, the "tyranny of numbers" — that as the numbers of components and connections between them grew, the failure rate of a circuit would increase as some power of the number of components. Therefore, if you had more than a hundred devices, your likelihood of a successful circuit was very low. I'm thinking that the functional device was in essence an attempt to resolve this looming problem of the tyranny of numbers. Would anybody like to talk about the tyranny of numbers? That was a real concern, and it was the old Y-to-the-nth problem, but that was before we had discovered, really, that defects tend to not be uniformly distributed but to coalesce in certain places. When that was recognized, and people started looking at things, they realized that what we now call the integrated circuit was a possibility with a finite yield. I think you're jumping ahead in this story to the 1960s when the Fairchild people say, "Damn the torpedoes, we're just going to go try to make integrated circuits. Yes, we know about the tyranny of numbers, but we're going to try to make them anyway." I'm talking about when you're still in the 1950s, [trying to develop] the PNPN or Ian Ross's stepper as way to try to get around the tyranny of numbers. We weren't always thinking of it directly in that sense, but it certainly was a way. We're going to be leading up to integrated circuits, but before we get on to that, there is another development that occurred at Bell Labs — in 1959, I think it was — the invention of the MOS transistor, the metal-oxide-semiconductor transistor, using this silicon-dioxide layer with a metal gate on top of it to modulate the flow of charge carriers in the silicon underneath. This was finally achieved by John Atalla and Dawon Kahng, I believe, in 1959. Were you aware of this work at the time it was occurring? Yes. In fact, Atalla reported to me at the time, so I was definitely aware. It was originally talked about as a discrete field-effect transistor, and of course there had been the earlier junction [field-effect] one by Dacey and Ross, but that was years earlier. And it was not envisioned as [useful for] an integrated circuit. And that's probably where we made a big slip up. But they clearly did it. They published it. It was informally published at the Solid-State Device Conference at Carnegie the same year. 1960 or1959, the same year that the epitaxial paper came out. Yeah, 1960. Another factor was that at Bell Labs, at the time, we were now thinking of making better high-frequency devices, high-speed silicon systems, and speed was always an important parameter, which we equated to the performance. Clearly the IGFET [Ed Note: insulated-gate field-effect transistor], which is now known as the MOS transistor, couldn't compete in terms of performance with the bipolar transistor, particularly the epitaxial bipolar transistor. In fact, the MOS transistor was essentially the realization of Shockley's ideas that he wrote down in 1945. It was a field-effect transistor. You had finally dealt with all the problems that plagued transistors up to that day, like the surface states that Bardeen wrote about. You finally solved them, but it's striking that it was not taken up by Bell Labs — I think largely because of the speed issue and also probably the reliability issue. Yes, that was very much an issue. Did Jack Morton play a role in the decision that you're not going to take this device seriously? Not that I was aware of. He might have had that opinion, but he didn't attempt to intercede. You were about to say something earlier Morry? Just what you you've said that, of course, the field-effect transistor was what Shockley and Bardeen and Brattain were trying to make at the beginning. When it didn't work, and they were trying to figure out why it didn't work, that's when they discovered the minority-carrier effect. We are talking about MOS because it's the way 99.9 percent of the transistors today are made on the surface of a chip. The CMOS process, the complementary metal-oxide-semiconductor was pioneered at places like — Well, I think the MOS system went through RCA, and then Fairchild had a hand in it, and a lot of other West Coast entities built integrated circuits based on it. The approach was then taken up by Bell Labs — which I'm only now learning more about — and by Western Electric. It was summarized in an issue of the Bell Labs Record [Vol. 14, No. 9, October-November 1966] that I have here [shows copy to camera], in which Bill Hittinger and Morgan Sparks wrote the lead article about integrated circuits. It's called the "sealed-junction hybrid technology approach." I'd like to say a little bit more about that, this unique approach that rose up and, I guess, died out during the 1960s. That approach is unique. Now, let me first start out by talking about the planar technology, which is one of the essential ingredients of this integrated circuit and the CMOS integrated circuit, but is certainly the most important piece of silicon technology that was not invented at Bell Labs. Then again, I was at the 50th anniversary [of the transistor] ceremonies and somebody, I can't remember his name, came up to me and said, "You know, we had planar here at Bell Labs too." Do any of you have any recollection of that? The recollection I have is not as such, not in the way that Jean described it, Jean Hoerni. There was a feeling of "What's the big deal?" We diffused through these oxide layers. All they did was to leave the oxide on. We stripped it off and tended to put it back on, re-grow it, but we obviously had all the basic processes. The thing that drove Fairchild in this direction was the fact they were trying to make mesa transistors, which had the exposed junctions at the edges and there you have an electric field which attracts particles that short-circuit the junctions. They were having tremendous difficulties that drove them in this direction. Although Bill seemed to say that you didn't have that much trouble with mesas in the Bell Labs-Western Electric approach, so there may not have been that driver pushing one to planar. It's interesting though. There was a young engineer in Western Electric in that timeframe, Harold Patterson by name. Yeah. You probably never came across him. He was a design engineer working in their device-development area or device-manufacturing area who had the vision of retaining the oxides and laying out a number of active and passive components on a piece of silicon using oxides as a mask. He actually made some very early integrated circuits, planar circuits that gained very little attention, quite frankly, because there were other interests going on at the time. Patterson's work came very early on in the process, and you may or may not run across it in your literature search. I'm not sure. I don't think he ever published. Does that ring a bell with you at all, Jim? I think vaguely. I had forgotten it until you mentioned it. By the way, I don't mean to in any way pooh-pooh what Jean Hoerni and Fairchild did. That was a major advance, but we didn't recognize it at the time. The lore out on the West Coast is that "those guys at Bell Labs regarded this silicon-dioxide layer as dirty; you've done all these diffusions through it; it's loaded with impurities, and therefore you've got to wash it off and get rid of it at the end of the process." What Fairchild did, according to this version of events, is that, "We decided that it wasn't so dirty, and it could be left on, and we could terminate the junctions underneath the silicon-dioxide layer and thereby protect them." Is there any legitimacy to that lore — that "those Bell Labs guys thought that the silicon-dioxide layer was dirty"? We did think it was dirty, I think that's fair to say. This was before the idea of gettering was quite clear, as I recall. That the so-called "dirty" oxide could in fact getter some of the things around the junction. I'm a little weak on that in my memory. Any other reactions? No? Let's get back to this Bell Labs approach — the "sealed-junction beam-lead approach," as it's called. Can you recall what individuals were the driving forces behind this, and what were they responding to in terms of technological needs, or needs in terms of devices? The clear driving individual was Marty Lepselter. He invented it. He did most of the development. What we were responding to, the whole idea of the hybrid integrated circuit as we called it, Bell Labs had developed this titanium technology. Is it titanium? Tantalum, thank you, which could be put down on a substrate in a very precise way — or precisely tuned afterwards, and the idea was to take a silicon device and put it on that substrate. Rather than stitch bonds, Marty's idea was to incorporate the leads into the wafer itself and then etch out away from that, and then put that thing down and seal it. The sealed-junction part was because of the concern of dirty oxides, adding a coating of silicon nitride, clean oxide, and then silicon nitride. That was the driving force that fit in with the rest of our technology. It was capable of providing very high-performance integrated circuits. On that last point, wasn't ultra-high reliability very important to the Bell System? One of the big applications of this technology is ESS-4 wasn't it? I remember talking about this with Ian Ross on a phone call about the time we were publishing Crystal Fire, and he had a comment that really struck me. He said, "Well, we were designing for 40-year lifetimes in the Bell System." Fairchild was not designing for 40-year lifetimes in the Apollo capsule, so that really pushed it — to my mind, and correct me if I'm wrong — in the direction you see here. This is [shows them the cover of the Bell Labs Record], if you'll pardon the pun, what I would call a gold-plated technology. The integrated circuits that emerged on the West Coast were not a gold-plated technology. They were good enough to get by until the next generation. I think that reflects our primary concern about reliability and high performance at the expense of cost. Another important thing, cost was not so much an object for the Bell System. Well, the Bell System understood — Morry can speak to this better than I — but they understood very clearly the cost to own something as well as the cost to buy something was important, and so this was aimed at that reliability. I'm getting into technological drivers and institutional forces that result in particular technologies showing up. Correct me again if I'm wrong, but back in those days the phone system was a regulated monopoly that got its profits as a certain percentage of its installed base costs. Which was always continually under attack, in terms of whether it was inflated or not. I was witness a number of times, in terms of comparing our costs to the closest thing you could find in terms of other people's costs. The old-fashioned telephone set was sold by Western Electric to the Bell System substantially lower than the price of any other telephone set made in any other country (including the US) and sold to telephone companies. So there was plenty of cost pressure, because we knew that we would be scrutinized and had to defend the fact that we were efficient. On the other hand, the Bell System had an enormous service ethos that was part of the whole — one of the technological drivers was to provide robust reliable service. That a Western Electric telephone could sit on somebody's desk for 20 to 30 years and never need repair. Even drops to the floor occasionally [laughter]. Yes. I think that [ethos] spread through every piece of technology in the entire system, and therefore certainly back into the development efforts. It's an important goal that, as you say, Fairchild probably did not, for very good reasons, have. We're getting back into technology, and you mentioned this tantalum technology. I read about it in this issue here. You could make very high-precision resistors and capacitors using this tantalum thin-film technology, whereas if you made — at least back in those days — a resistor or capacitor in silicon — which is what CMOS was, what Fairchild was doing — you had to be satisfied with a pretty crude 10 percent accuracy, or something like that, in the resistance or capacitance that you'd be getting. Yes, that's right. One of the early applications, I believe, of that circuitry was in the Touch-Tone telephone, with an analog system and all the signaling done by tones whose frequency had to be very carefully replicated. Yes, if you had any change in resistance or capacitance, you’d get a different tone, and you’d dial another number. You’d either dial another number or no number at all [laughter]. What applications did this approach find within the Bell System? It was in the Touch-Tone, the Trim-Line telephone. Are you aware of any others? How was this [IC technology] used in the Bell System? The 1-A processor, I believe, the 1-A processor for ESS. Can you say a little bit more about what that is? It's the central processor for the computer that is the switching system. I would guess that you might have found it — but I don't know for certain — in a lot of the transmission equipment. It was in one of those PCs, whatever they call them, up at Merrimack. Getting back, if I may, to the issue of cost, the group at Allentown — which was heavily Bell Labs dominated, I guess, for quite a period of time — became very much aware of direct costs, first through manufacture of vacuum tubes before the invention of the transistor. Then later when solid state became the major product line at Allentown, the managers came up with a scheme of measuring direct costs. They didn't try to get the overhead costs that came up subsequently, as the devices found their way into various telephone systems, but direct cost was very, very much a challenge to everybody to be aware of — how much these devices actually required or actually cost in direct manufacture. They did not get into system overhead cost at all, but there was an early consciousness of cost being an important parameter for all devices at Allentown. Clearly, there was a great deal of effort to get cost out of the product lines as much as possible, and rewards given to people who were successful in doing so. Getting back to the actual mechanics of the technology, it was a hybrid technology. The transistors were made in silicon by the diffusion techniques and epitaxy — and, I think, also any diodes in these systems. So you would have a portion of the device, of the integrated circuit, made in silicon and then somehow mated with a tantalum network of resistors and capacitors. It was a very hybrid approach. Now one thing that occurred to me was that — and I read this in Jack Morton's book Managing for Innovation — that in a sense, it was a response to this tyranny of numbers, too. The complexity of the active systems, the silicon-based parts were, when he was writing about it, maybe 30 components and certainly no more than a hundred or so. So there was a sense that, if we get any more complex than a hundred transistors on a chip, it's going to break down. Therefore instead of making ICs with 1,000 components, you would make them with 50 or 100, test them, and then put them into this [tantalum] substrate. Anybody care to comment on that? Was the tyranny of numbers, this philosophy or this idea of Jack Morton's, influencing the technological choices being made here? The alternative was advancing actually fairly rapidly — CMOS. I think, Jim, you and I had discussions along these lines. Eventually the Bell System embraced CMOS, and this [hybrid] approach died out in the early 1970s or so, because you could make highly reliable CMOS circuits, with accurate resistors and things like that, with a thousand components, a million components. Now we're up to about a billion components per chip. Of course, as you move to digital instead of analog, then the precision and reliability requirements are substantially reduced because the transistors don't have to respond linearly. They're either on or off, and so it greatly simplifies the whole situation. Of course, you have to have an awful lot of switches or transistors, effectively, to do the rest of the process. That makes a good point. This hybrid IC technology was also a hybrid of digital components and analog components. The obvious application is in the Touch-Tone phone, where you want to produce a specific tone. That's right. This, by the way, also was a large advance, both in terms of cost and in terms of space requirements, over what it was replacing, which was just separate capacitors and separate resistors that had to be soldered together on the circuit boards. So this [hybrid IC technology] was a major advance over that. The other thing that strikes me here is that this approach was ultimately not scalable, and it's the scalability — the fact that you can just keep reducing the size of all the components in CMOS — that is one of the keys to its success. Here you're relying on the gold leads as a support structure, and you're etching from the back side of the wafer to isolate the components. You essentially etch all the way forward to the silicon-dioxide layer and use the [network of] gold leads as the support structure. Well, there's no question that the integrated circuitry just wiped that out. Yes, the CMOS approach to integrated circuits. I'm just fascinated that there was this other approach to integrated circuits that lived for awhile and then died. Does anybody have any idea how long this [hybrid IC technology] survived in the Bell System? [Nobody responds.] No? I was down at RCA working on CMOS. I think that pretty much brings me to the end of the things I'd like to discuss, but I want to throw the floor open. Are there any areas that have to do with silicon technology and its implementation that I've ignored? Maybe Sheldon has an idea of anything I might have missed. Not on these technologies, no. Well, then, I think we'll close it off right now. Thank you. It was a pleasure. I enjoyed it.